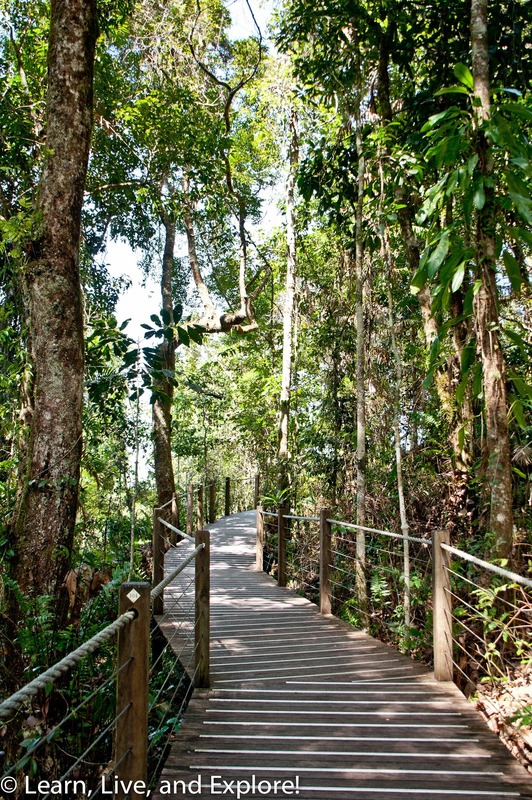 Cairns, Australia ~ Learn, Live, and Explore! 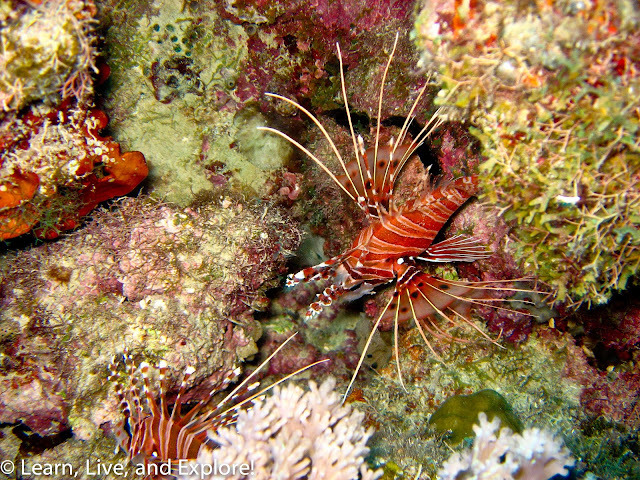 If you are a diver, I know that the Great Barrier Reef is on your bucket list. And if you're just a snorkeling enthusiast, I would presume you would not pass up an opportunity to observe one of the worlds finest collection of marine life! 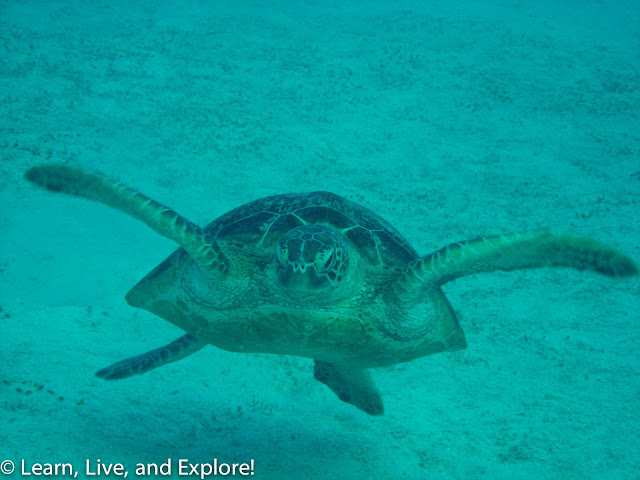 Therefore, you must know one of the best ways to access the Great Barrier Reef is from Cairns in Queensland, Australia. 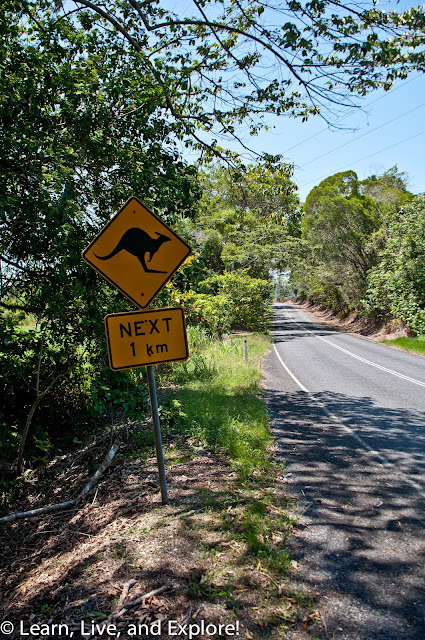 In my recent post about Sydney, I mentioned how challenging it was to plan out my itinerary for my short stay in Australia. 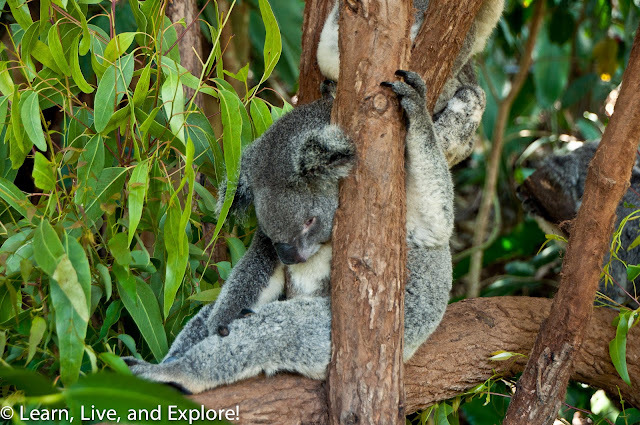 On my "must do" list, I had listed several things, two of which were dive the Great Barrier Reef and hold a koala. The great thing about staying in Cairns is that Queensland does not have the restrictions on koala holding that other states do in Australia, so by heading to the city, I was going to be able to accomplish two of my major goals! Cairns is a relatively small, beachside town. And when I say beach, I mean more of a coastal walkway with some sandy areas, but not many. It still has that seashore feel, though, with the cheesy tourist shops and average restaurants with the water views. For my hotel, I opted to stay at a place that, conveniently, had a name I could not forget: The Hotel Cairns. Not only were the accommodations nice, with daily breakfast buffets, but it stood out from all the other hotels in the region for one reason: free daily car rental. 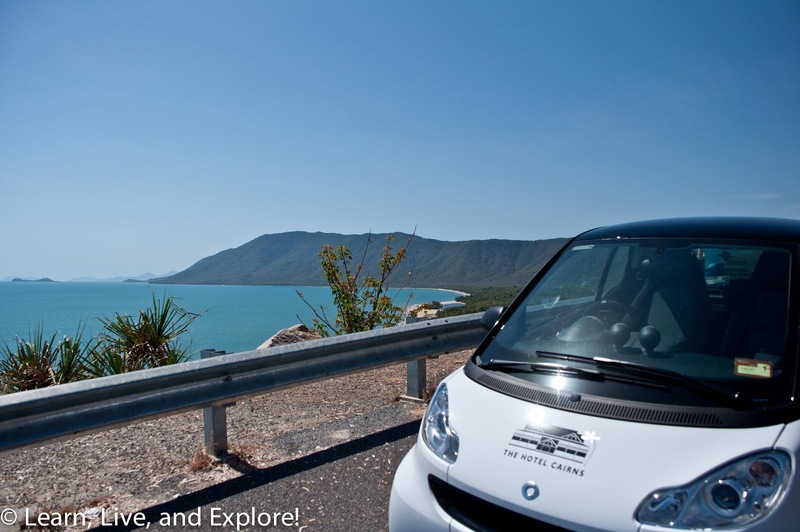 They maintain a small fleet of Mercedes Smart cars that are available for hotel guests' use, first come-first served and reservation required. There was no way I was going to pass up this convenient way to get my shot to drive on the "wrong" side of the road. Plus, it opened up the number of things I could do in the area. 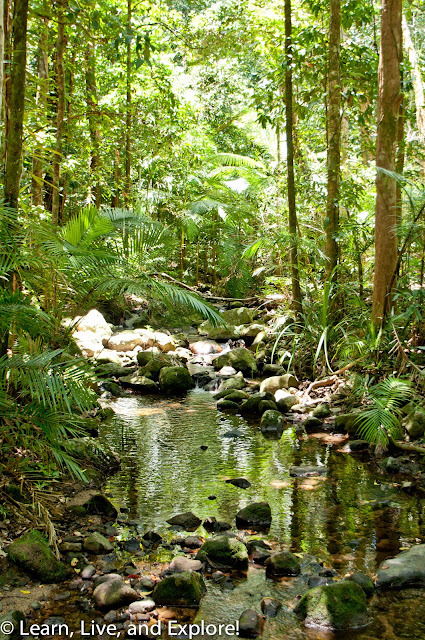 I ended up taking my Smart car up north to the Daintree National Forest on my last day in Cairns. 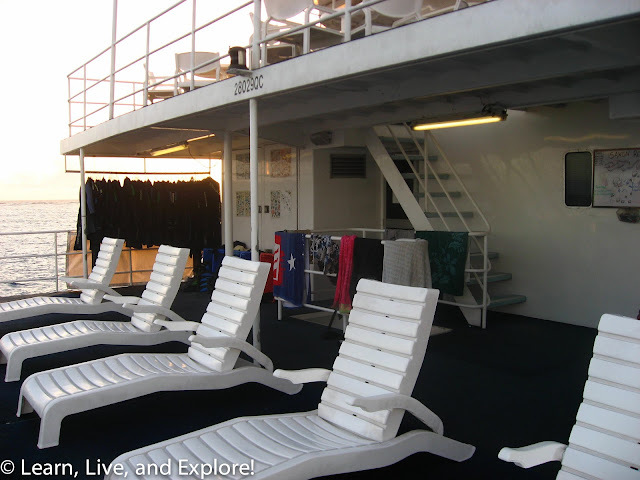 I actually only got to enjoy one night at The Hotel Cairns before I was picked up by my diving tour company to be taken to the transport boat that would head out to the liveaboard boat's location, anchored on the Great Barrier Reef. After one night on board, I planned to head back to the hotel, though. The dive company I selected was Divers Den. They had all sorts of liveaboard duration options, and having not done an overnight diving trip, I hesitated to commit to more than the 2-day tour. Of course, you don't have to (a) do an overnight or (b) even dive to be able to come with Divers Den out to the Great Barrier Reef! I have to say, though, that I thoroughly enjoyed my experience. The plan was to do 7 separate dives over the course of my tour: two on the way to the liveaboard, one before dinner, and one night dive on the first day, then three additional dives on the 2nd day. 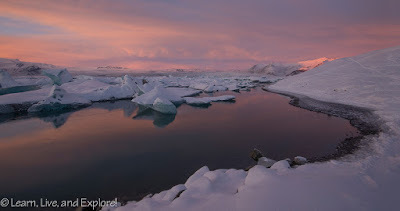 I actually skipped the night dive for several reasons: I was exhausted, the thought of putting on my soaking wetsuit made me shiver, and I had never done a night dive before and was a little scared. No matter, I still had fun because the atmosphere on board was very similar to some of my university travels around Europe, where solo travelers at the hostel all band together as a bunch of strangers-turned-immediate friends because everyone is looking for and is open to new companionship. There's nothing like it in my traveling experience, and makes me wish there was a way to combine that instant camaraderie with the comfort of nice hotels, as opposed to the bunk bed filled/shared bathroom hostels. With dives complete, and that bucket list box checked, I returned to The Hotel Cairns for more Queensland exploration. There are several tour companies operating in the region that provide a plethora of options for things to do, but the main attractions are Kuranda and Daintree. Remember, I wasn't going to leave this town without getting a fuzzy grey bear into my arms and taking a souvenir photo, so Kuranda was first on my list. There are two ways to reach this mountain attraction: by cable car or by train. If you're me, you do both by buying a package ticket that included hotel transportation to the Skyrail terminal. Taking the Kuranda Skyrail up the mountain over think rainforest canopies can take up to an hour and a half because it makes two stops at mid-stations, where you can get out and wander around paths in the rainforest to learn more about the ecosystem and various flora through ranger guides or frequently posted educational displays. 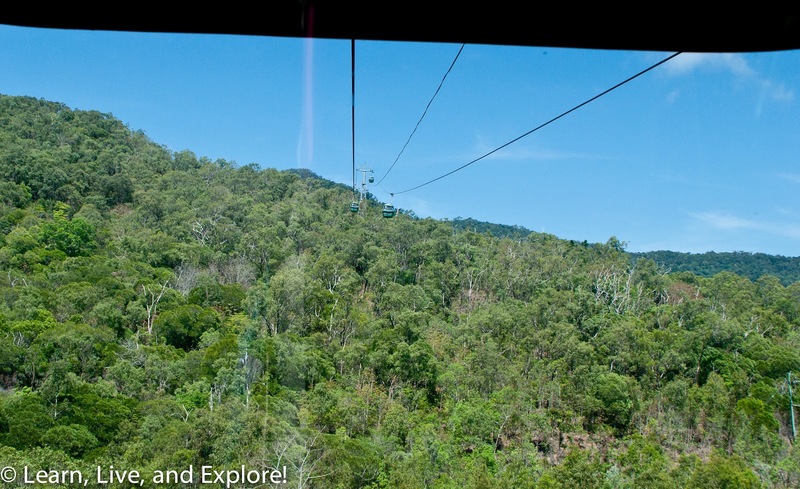 The last stop of the Skyrail is the village of Kuranda, known mainly for its Koala Gardens - my end goal for the day! 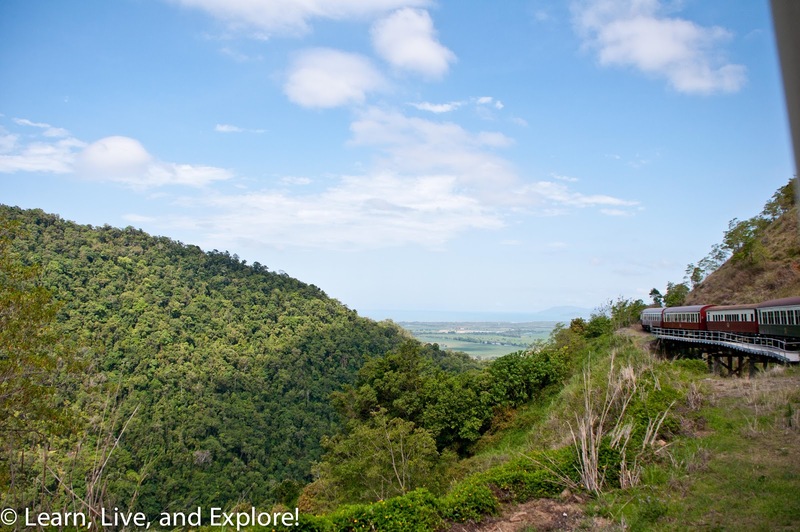 To return to Cairns, you can book a passage on the historic scenic railway. 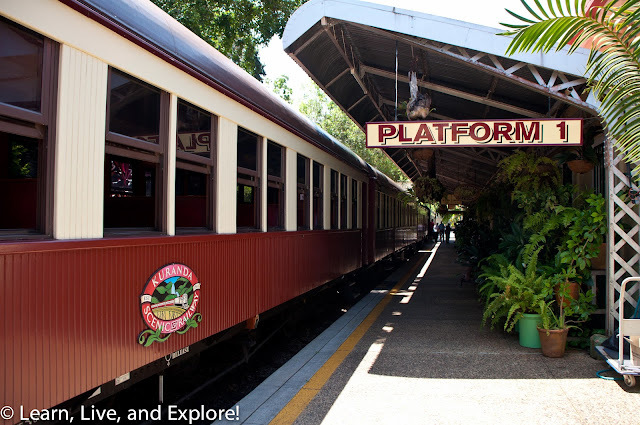 Built in the 1890s as a supply line for local miners working in the mountains, the railway is now primarily moving tourists to and from Kuranda. 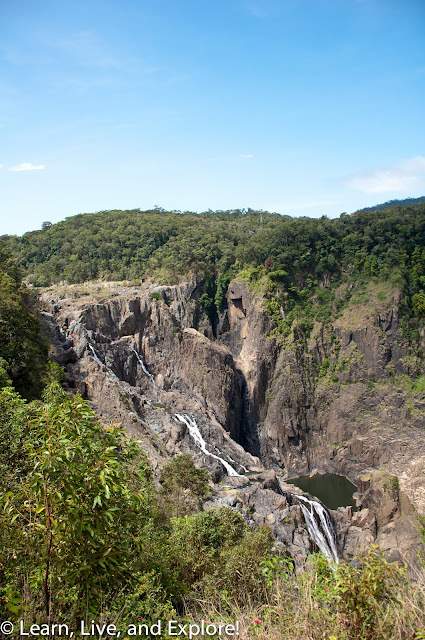 It is a slow-moving train with some great opportunities for photographs of the Barron Gorge National Park and waterfall. The train conveniently takes you straight into Cairns Station. 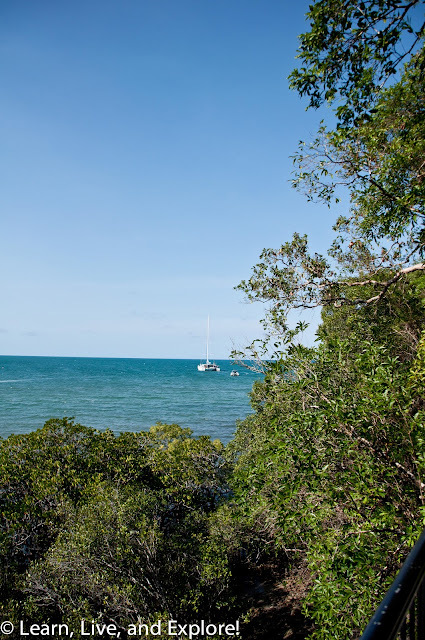 Reserving the complimentary car for the next day, I headed north towards Cape Tribulation with a fellow solo traveler I had met on the diving liveaboard to wander the Daintree National Rainforest. I was surprised how easy it was to drive on the opposite side of the road, and on the opposite side of the car, to which I am accustomed. The drive along the coast is absolutely beautiful. 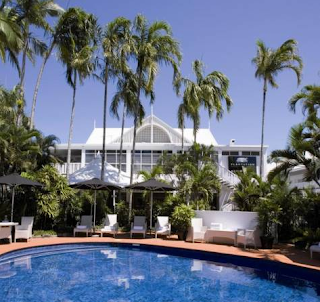 Stop in Port Douglas if you need a break. If you're more inclined to hike under the rainforest canopies, Mossman Gorge is a great option. When you get to Cape Tribulation, there's an area where you can park your car and take a short walk to reach the beach for a beautiful view of the turquoise blue water and lush greenery. If you prefer not doing the driving yourself, there are tons of tours available on off-road vehicles that will pretty much cover the same areas in this part of the Daintree Rainforest more efficiently.